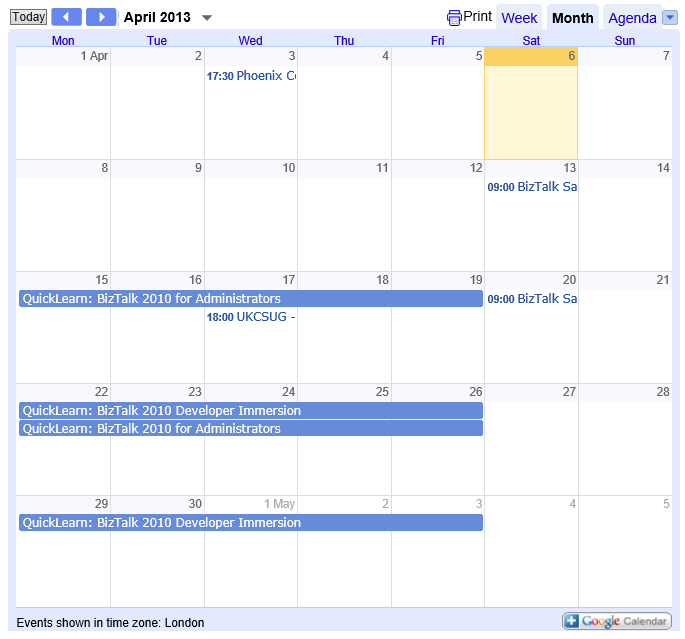 A while ago I was contacted by QuickLearn, as they wanted their BizTalk related course schedule on BizTalk Events. As you probably know, QuickLearn can be considered as a premier training company, when it comes to BizTalk trainings. After spending some development time, the existing integration solution is extended with the XML feed, which contains the BizTalk related courses from QuickLearn. So the solution now looks as follows. So as of this month, the BizTalk related courses from QuickLearn will show up in the Trainings/Courses calendar of BizTalk Events! At this moment all courses until December are added to the calendar. For an example of the calendar, see the screen dumps below. By clicking on a calendar entry you get a popup, like shown here. Next,by clicking on the ‘more details»’ you get the Description field, but now with clickable links. 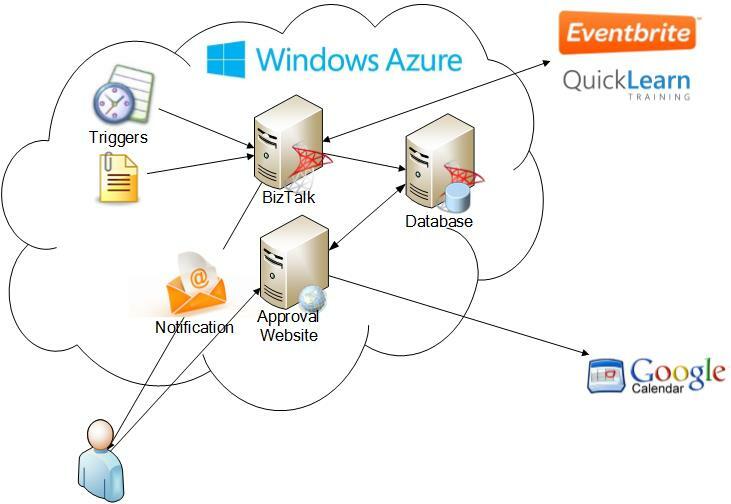 This entry was posted in BizTalk Events, Courses, QuickLearn. Bookmark the permalink. 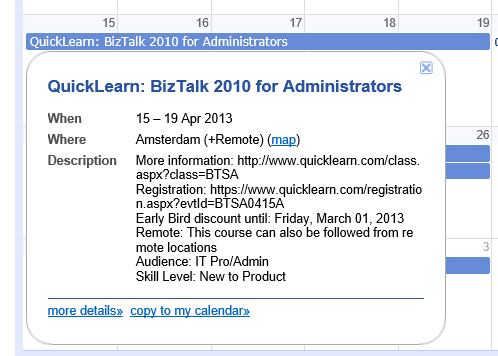 1 Response to QuickLearn’s BizTalk courses schedule is on BizTalk Events!